If you have a suggestion on what topics should be discussed in upcoming meetups, feel free to share them here! I'd like to have presentation / discussion about accessibility. I've been trying to think topics. Here are some of them I remember after lunch. - Design patterns in general and in WordPress Themes. - Your testing environment for clients. - Using Grunt / Gulp tools. (I could talk about how I use Grunt in theming). - Local development tools. I'm mostly interested how you use Vagrant and VVV. - How to handle good, bad and the evil clients. - Showcases of interesting sites. Behind the scenes kind of stuff. - Navigation patters. (I could talk about this). - Showcase your public plugin. - Let's just drink beer. Or someone can talk about beer also. We already had accessibility topic. But we can figure something new at some point. Here are the slides for accessibility. We're a group of local WordPress developers, designers, and publishers who get together to share our knowledge and experience, and to meet other WordPress users in the area. 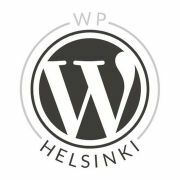 This WordPress Meetup is open to all who love WordPress – join us!